Fletcher Pond is Michigan’s 11th largest inland lake, 9000 acres of pure fish habitat and home to one of the largest concentrations of Northern Pike, Large Mouth Bass and pan fish in the State. 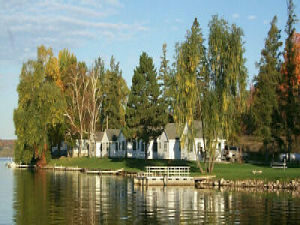 Jacks Landing – the original landing of the flood waters – offers a complete array of lodging, camping and services to make for an enjoyable getaway. We offer twenty 14-foot Lund Fishing Boats with 6 horse power motors and three 18-foot pontoon boats with 25 horse power motors. Call for more information and discover Fletcher Pond today! Jack’s Landing offers secure monthly and yearly outdoor storage for boats and RVs. Call for details! Considering ice fishing this winter? Why go anywhere but Fletcher Pond? Rent one of our 4 x 8 propane heated ice shanties and fish in comfort! Whether you are an avid fisherman or want to introduce your family to ice fishing, this is a great winter activity.